Palmer (No) Luckey: Oculus and ZeniMax’s $500-Million Rift. It’s messy. $500 Million messy. Failing to comply with the Non-Disclosure Agreement set between him and ZeniMax, Palmer Luckey, co-founder to Oculus is set to pay out $50 Million for false designation. The corporate entity that is Oculus is also mandated by law to pay $200 Million for going against the NDA, $50 Million for copyright infringement and another $50 Million for false designation as with Mr. Luckey. Iribe is also directed to pay $150 Million for the same charges. While decided in favor of ZeniMax, the jury in Dallas, Texas had made it clear that no misappropriation of trade secrets had been done from Oculus’ end. And as the company is looking forward into putting the matter to rest, Oculus had also expressed that they would be filing for an appeal in the immediate future. Furthering the battle, ZeniMax stated the possibility of filing for an injunction that would order the halt in selling Oculus Rift headsets. On the morning of the decision at the United States District court in the North District of Texas, District Judge Ed Kinkeade keenly iterated the jury questionnaire one-by-one and walked the parties to the damages that need to be compensated. After the reading of the decision, both parties were left discussing further remedies and steps that they need to take with their respective counsels. Prior to the decision, the ZeniMax attorney appealed to the court that the company be awarded with $2 Billion for compensation and another $4 Billion for punitive damages. Atty. Beth Wilkinson, the Oculus attorney would not have it, expressing that the proposed is only a fruit of overcharged emotions which are baseless and devoid of facts. 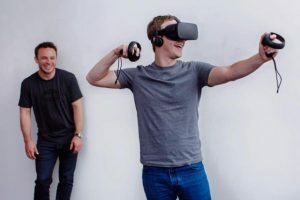 Regarding Facebook’s hasty 2 Billion acquisition of Oculus, Mark Zuckerberg was questioned in light of id Software co-founder John Carmack’s decision to work for Facebook. The questions highlighted the likely case of Carmack copying some code from id Softwarte computers before his departure from the company to work with Luckey in Facebook. In 2014, ZeniMax had already sued Oculus. 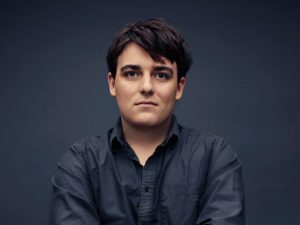 Palmer Luckey who was not only the co-founder of Oculus but also the Rift’s inventor was put in hot water with 6 former ZeniMax employees when the company accused them of building the Rift based on their R & D and the code which they had copyrighted.